Temiz ve sorunsuz. Takasa açık. 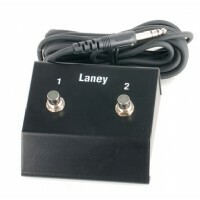 Laney FS2 - Stereo Foot Switch The Laney FS2 is a stereo footswitch which switches between two amp channels. The Laney FS-2 footswitch works with TFX1, MXD30, MXD65, MXD120/TWIN/HEAD, HCM30, HCM30R, HCM65R, LC15R, LC-30-II, LC-50-II, VC15-110, VC30-112, VC30-210 and VC30-212.